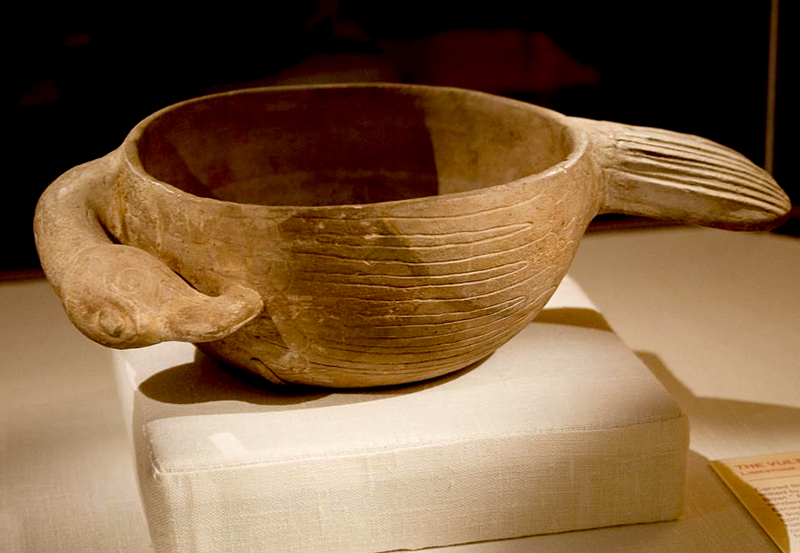 Known as the Vulture Bowl, this piece was carved from limestone in the shape of a bird, thought to be a vulture. It was found at Moundville Archaeological Park in Tuscaloosa County and is on display at the Jones Archaeological Museum there. Bird effigies are common on artifacts recovered from sites dating to the Mississippian period.